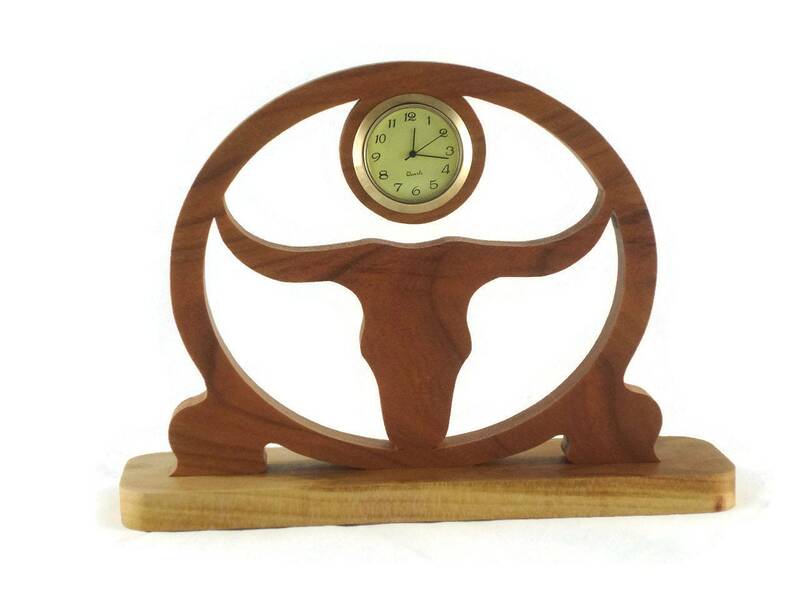 Texas Longhorn desk clock was cut by hand ( Handmade ) with a scroll saw. 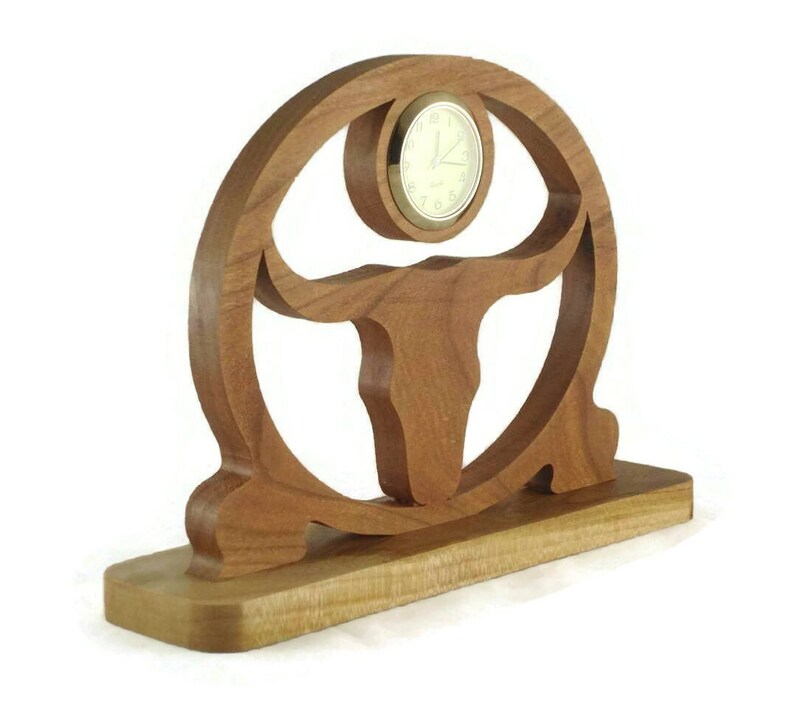 This beautiful desk clock was made from high quality hand selected 1/2" cherry wood. 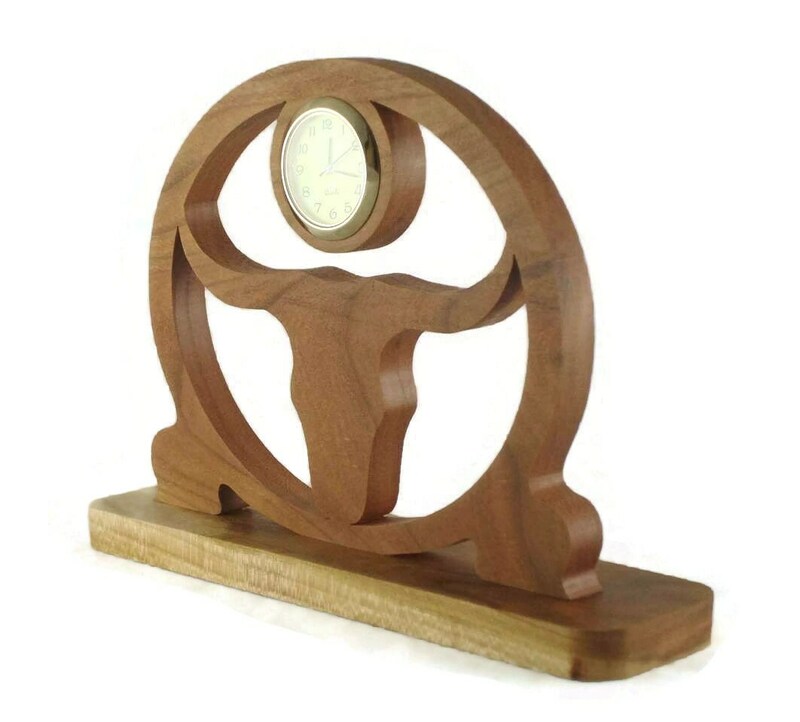 This Texas longhorn clock features a silhouette of a Texas longhorn in the center of an oval shaped desk clock and up above the longhorns is a spot for the mini 1-7/16" quartz clock insert. 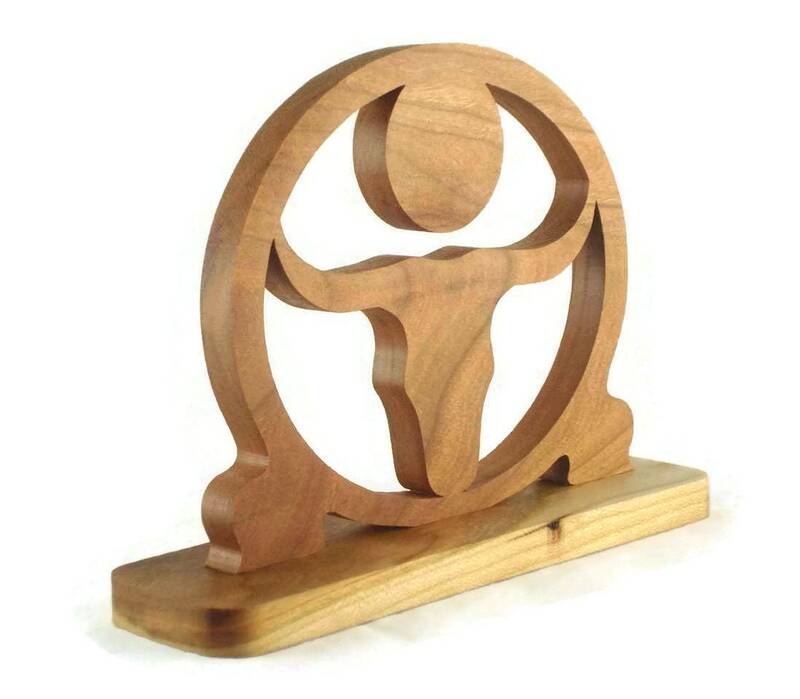 Mounted to a 8" x 2" base for stability with counter sink screws. 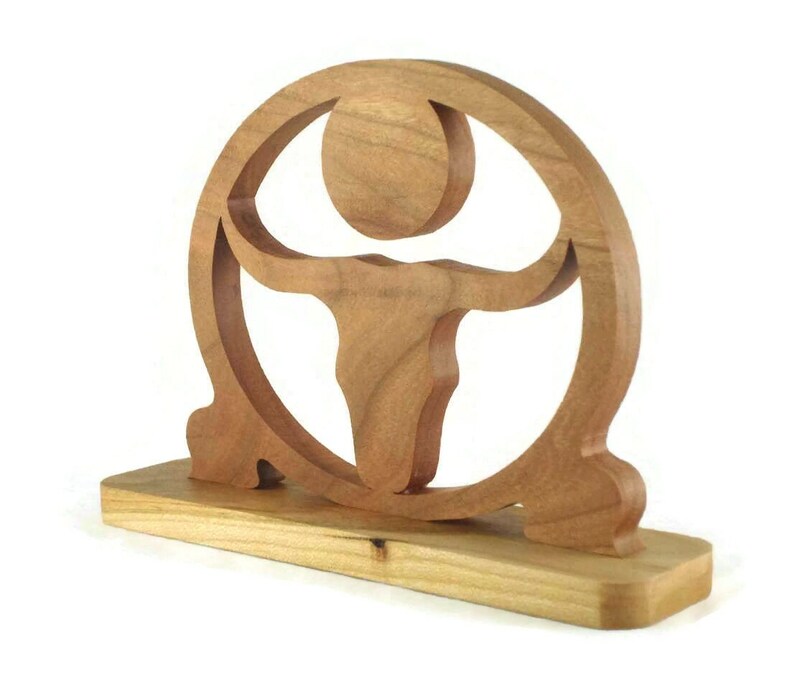 Cherry wood is finished with a homemade all natural non-toxic bees wax and mineral oil finish. This finish not only enhances the natural beauty of the wood grain but it also gives the wood a soft silky smooth feel to the touch. The 1-7/16" quartz clock features a ivory color face with black Arabic numbers, glass lens, and a gold plated bezel trim. A stainless steel back battery cover. 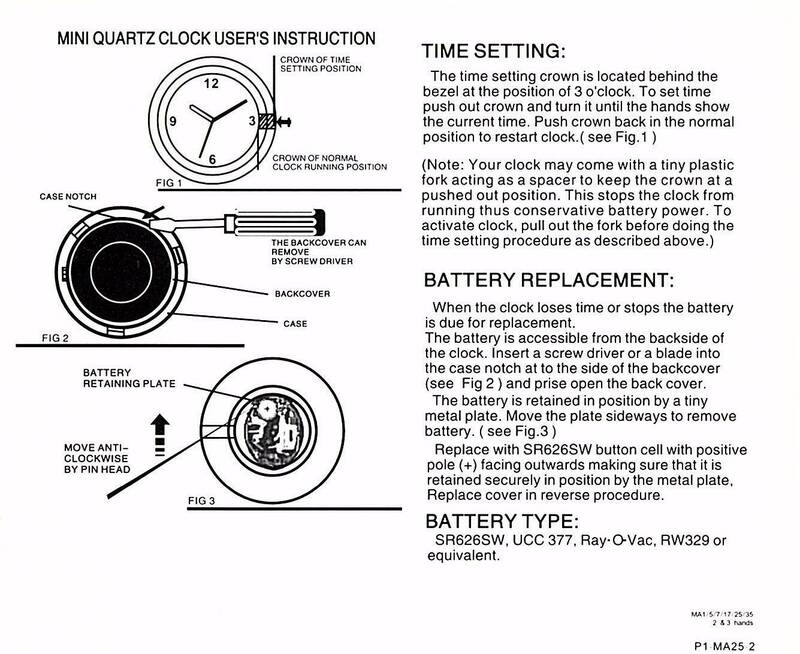 Clock comes with battery installed and ready for you to activate.